More from the really cool, Cool Globes exhibit I went to last month at the Rose Garden! 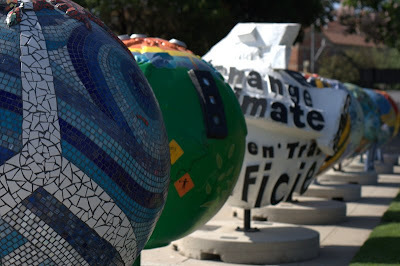 There were rows of globes designed by artists from all over... Inspirational. "Heal the world, make it a better place, for you and for me and the entire human race." You know you want to go listen to it... DO IT.